Liked this book . Got it at home . will stick man ever get back home? Little ones will adore this book. I read it to my little cousin (3) and he was squealing again again. This book will keep you little ones quiet for a few hours. Great. 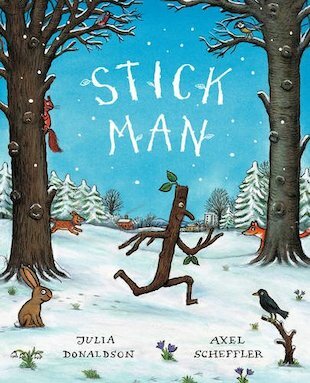 This is about a stick man who gets used for lots of different things like playing pooh sticks.